I currently do a couple of days a week at Express Newspapers – actually, it's for the Express' sister paper, the Daily Star. I work in the sport department on the horseracing desk. On Wednesdays I run the show on my own and on Fridays I work with a small team who put together ten pages of Saturday cards and editorial. It helps to pay the bills, and actually it's good fun. Newspapers have been a significant part of my working life for more than 25 years – Racing Post, Motorsport News, the Independent and now the Daily Star. All of them have been different in their approach to producing a finished product. At Racing Post the atmosphere is vibrant, almost bedlam on occasions, while at the Daily Star it's much quieter and more measured. A bit of a surprise, you may think, but there's a reason behind that. At the Post everyone is working on the same topic, horseracing, while at the Daily Star, it's split into smaller pockets – one group work on features, another on news, another on sport. None of them mix that much so the paper is the sum of its parts, whereas at the Racing Post its all hands to the pumps. The Express and Daily Star sports teams work alongside each other, unlike the rest of the sections. There's plenty of banter on the latest issues, whether it's Kevin Pietersen's dismissal from the England cricket team (most believe he had to go) or José Mourinho's master-class dismantling of Manchester City by his Chelsea team (everyone was in agreement Mourinho is a genius, even if they weren't a Chelsea fan). One of the other occasional side issues is about the Daily Express front page story. More often than not the Express will lead on the weather – KILLER STORM ON ITS WAY, WORST STORM THAN '87, etc. They run these often, and occasionally, by the law of averages, they will be right. No other paper does this. But maybe they are missing a trick. The Express management wouldn't run these repetitive headlines unless they thought their readers wanted to read them – and the bottom line is their readers do want to read these type of stories. I'm not sure of the psychology behind it but I imagine it has something to do with readers having some perverse satisfaction out of reading about impending doom close to home. No different perhaps to rubber-necking on a motorway to gawp at a multiple-car accident on the opposite carriageway. Whatever the reason, there's no getting away from the fact the weather is a major topic of conversation. It is unavoidable. Never in living memory has Britain been so bombarded with low-pressure weather fronts of this magnitude. 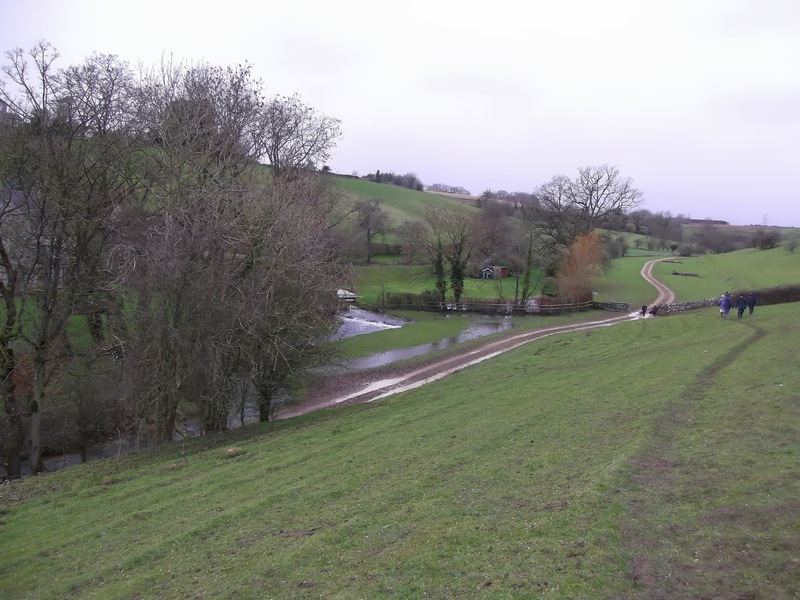 Floods are now a way of life rather than a one-off occurrence. Today, obviously, was no different. I was up early – 5am – as I was dropping Annie off at her new radio show on Redstone FM, a local digital and online radio station that covers Surrey and South London. She's only been doing it for the past three weeks, but I will say (and I would, wouldn't I) she is doing a brilliant job on her Saturday breakfast show between 7am and 10am, considering she has such little experience at running a gig like this. She's worked hard to create a theme for her programmes each week. Last week it was holidays, including talking to a top lawyer on what to do if your holiday goes wrong, while this week it was insomnia, with pre-recorded interviews with sleep experts, including one from Guy's Hospital. Fascinating and surprising stuff. Next week it's all about London Fashion Week, with a brilliant interview with the media director of the London College of Fashion. In among all this highbrow stuff, I do a five-minute slot on local birding each week (in the last hour) before setting off somewhere to actually do a bit of birding, and then report on it the following week. The weather took up some time on today's slot, as I had deliberated about travelling to Papercourt Meadows to locate a Great Grey Shrike that has been there since last November at least. The weather was so bad, with gales and storms predicted, instead I went on a 120-mile twitch. 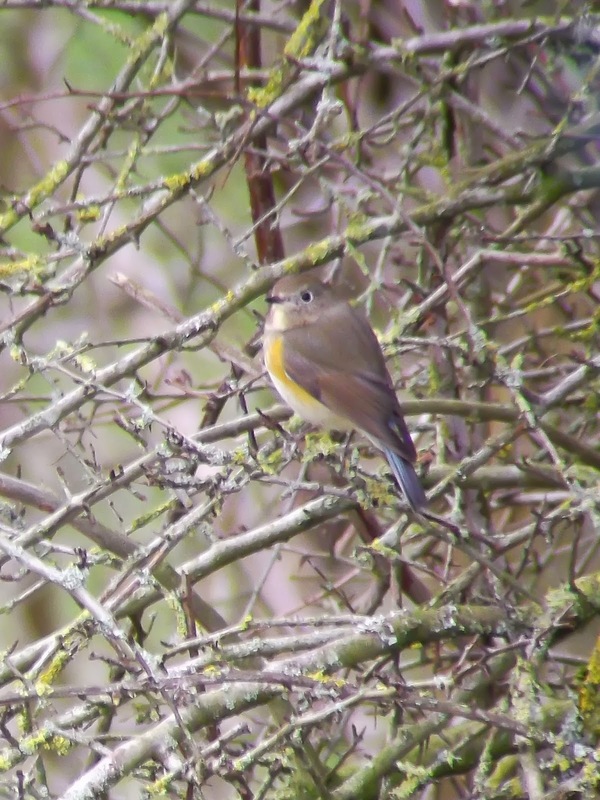 I just couldn't resist the chance of seeing a Red-flanked Bluetail, particularly one that has been showing so well this past week or so. The weather on the way to Marshfield on the Gloucestershire/Wiltshire border was pretty grim – hailstorms, strong gusts, spray, rain, bright sunshine – just about everything apart from snow. 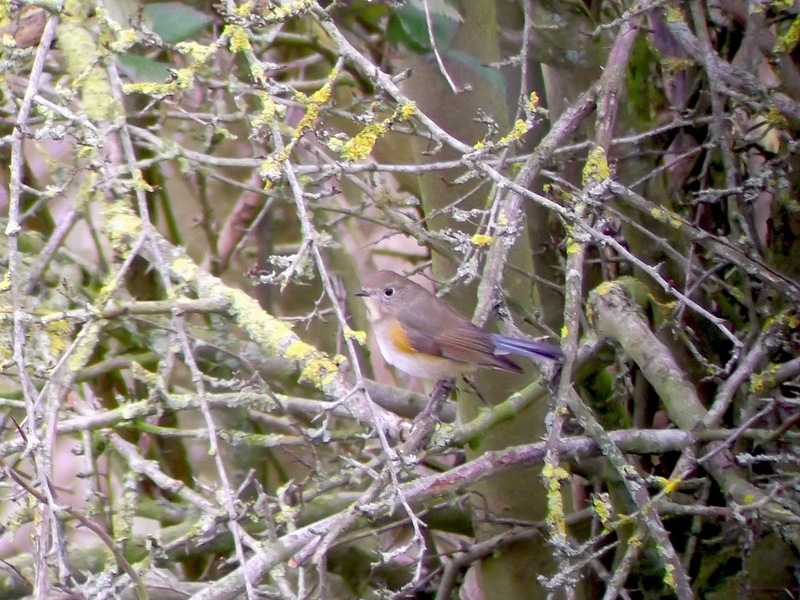 I wasn't totally convinced it was going to be the best idea I had ever come up with, as by the time I parked the car the wind was very strong – not the sort of weather condusive for viewing a pretty Bluetail. But I needn't have worried. 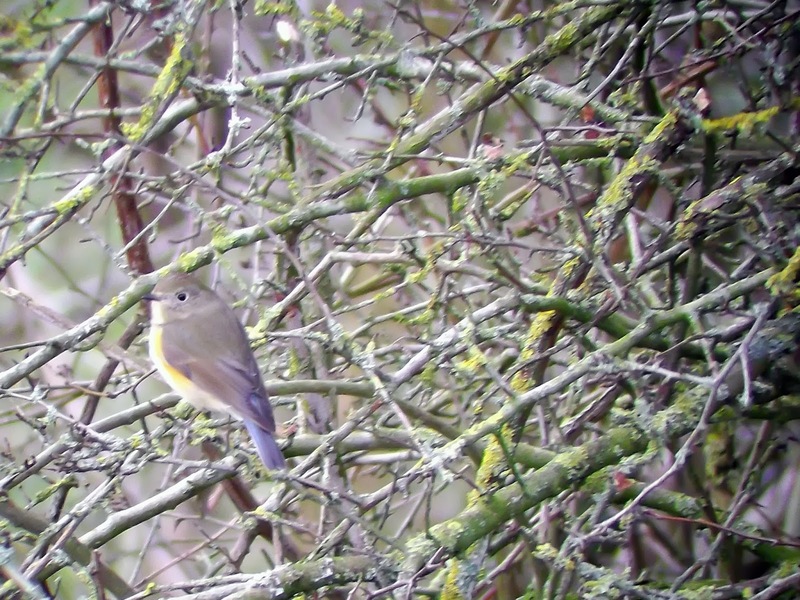 The Red-flanked Bluetail was showing very well, considering the conditions. 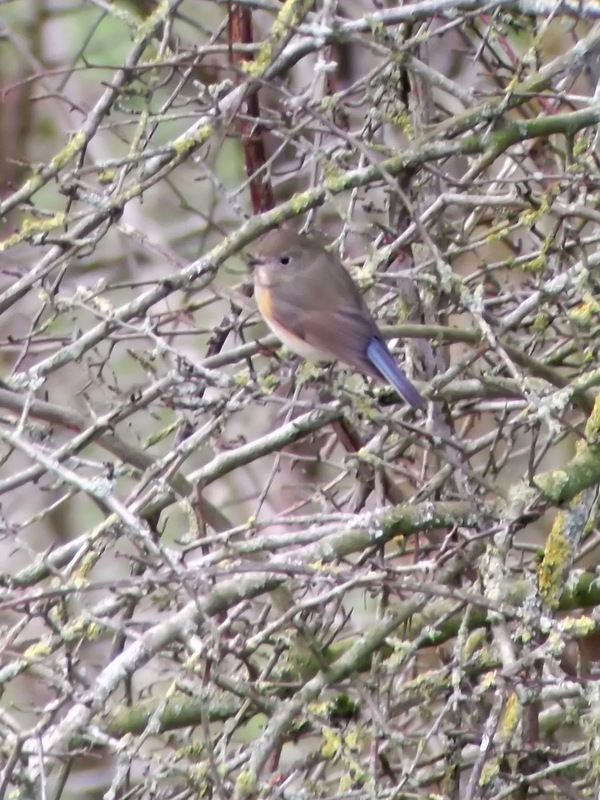 What this amazing little bird was doing at the bottom of a picturesque valley near Marshfield in Gloucestershire in February is hard to fathom, but it proved that if you look hard enough something amazing is likely to turn up literally anywhere at any time. I'm not complaining though. What a fabulous little bird.